Welcome to The Magic Market Index. This weekly article series documents the price changes of cards currently in print, and offers insight into what cards to invest in and what to ignore. 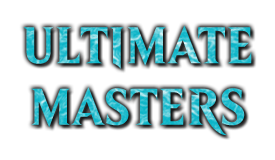 This weekly article series covers all expansion sets and masterpiece series sets in Standard, from the time of their prerelease to the time of their rotation out of Standard. Promotional sets, special sets, pack foils, and non-set releases are not covered. All pricing is based on TCGPlayer's Market Price. Ravnica Allegiance came out with a bang. We may have fallen back a bit this week, but we're still strongly in the profitable range. A set's always at its highest profitable point at release, and is the most reliable opportunity to flip product. Right now, a bad box that misses all of the top cards is still worth almost $70. That's the largest miss value we've ever seen, and speaks volumes about the reliability of box flipping profit at the moment. For individual cards, I'm reluctant to offer predictions. The meta is still in flux, and guesswork abounds in many directions. Though the field seems to have simply only adapted current decks, larger changes are still possible. 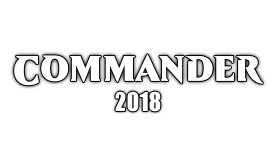 Simic has come out strong, with 4 of the top 5 cards, and Hydroid Krasis commanding the top spot in Ravnica Allegiance, and the #2 spot in all of Standard. The Hydroid is absolutely the current major card to watch, after being a key winner in both the Magic Online PTQ and SCG Open. Whether our Jellyfish Hydra friend can cement his position and remain the second most expensive card in Standard, however, remains to be seen. Creatures always have a harder time staying at the top, but if Carnage Tyrant can do it, the Hydroid can as well. Although Arclight Phoenix took a hit this week, Guilds has strengthened its overall position through a myriad of small middle-ground changes. 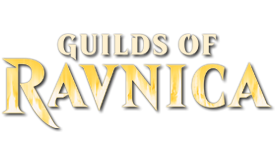 Guilds' hit-over-miss is second only to Ravnica Allegiance, and the past few weeks of small box value upticks has put it just into a profitable range. This is a perfect opportunity for players to crack boxes for what they need and sell off what they don't, recouping much of their box cost. For profit seekers, we're at a tight crossroads. Large volume sellers can buy in bulk for discounted boxes and have plenty of room for profit, but individuals and small shops are looking at a very short margin. The secondary market still has Guilds boxes for just over $90 shipped, making the $96 expected value barely on the plus side here. If you're a small seller without a direct line to boxes, know that you have to be on the top of your game to make money on Guilds, but it is definitely possible. Core 2019's outlook remains dim, and we're nowhere near box-flipping territory. Most cards took a hit this week, as has been the trend for some time. If you want to invest in Core 2019, do so with individual cards only. Even then, be cautious, as only a couple of cards have a positive course and the field is still settling down. Vivien Reid has some good traction in mid-range aggro, showing in Simic, Selesnya, and Gruul decks alike. I see her as the safest bet in the set, but even she isn't a garuntee. 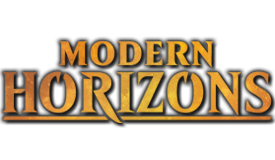 Dominaria continues to inch its way out of the hole, little by little, inch by inch. While its expected box returns are higher than Core 2019, the hit-over-miss variability is still out of control. We did see them shrink again this week, but we have a ways to go. Teferi remains the largest problem for reliability, but I can't deny that progress is progress. The Checklands are the real cards to watch. As the meta shifts, the applicable lands shift with them. Ravnica's Shocklands may be the marquee land cycle in Standard, but they don't fill a manabase by themselves. With Simic on the rise, we've already seen Hinterland Harbor climb these past two weeks, and it very well might continue this trend for another dollar or two. Rivals remains the ever solid pillar of stability, just like its predescessor Ixalan. Although the profit margin is almost negligible, given its $87 cost in the secondary market, the fact that you can still reliably recoup your entire investment is staggering at this age. Much of Guilds' commentary applies here as well. We have a great opportunity for fleshing out your collection and selling what you don't need, but if you're looking for profit you need to buy in bulk if you can. Otherwise you need to find a cheap source, be on the top of your game, or cross your fingers for a little luck. Ixalan is in the same boat as Guilds and Rivals, with just enough room to turn a small profit if you're looking to buy boxes indirectly. The secondary market has boxes for $93, so it's margin is in line with Guilds, offering a little more than Rivals. 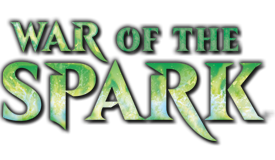 Ixalan might be the oldest set in Standard, but it rotates no sooner than Dominaria or Core 2019, and has more than proven itself. 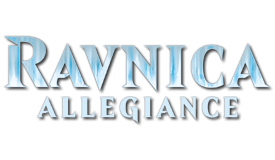 All eyes are upon Ravnica Allegiance, and it definitely holds the most reliable profit margin at the moment. Every seller should be turning through as much product here as they can. Even newcomers will have a hard time not making money if they act quickly. That said, established sellers need to make sure they don't have their new set blinders on. You'll be doing yourself a great disservice if you ignore the rest of Standard and just focus on Ravnica Allegiance. We're in a very strong market at the moment, with four of the six Standard sets offering profit potential in their boxes. Even if you're buying your boxes on the secondary market, these sets still have potential - which is quite an incredible feat. I don't recall when we've had two out of three Standard sets clearly in the profitable range. Meatloaf might have only said "2 out of 3 ain't bad", but in the world of magic finance and market profit, 2 out of 3 is actually a glorious sight to behold. Hi! Just wondering if you have an article describing what you mean by some of the terms you use (e.g. hit over miss) and the process you use to get the numbers? Thanks! I did a full write-up on hit-over-miss when I introduced it, you can read precisely how this figure is calculated Here. Although the set data is of course old, the calculation is exactly the same. As for my calculations, I can dive into that fairly quickly. All pricing is directly taken from TCGPlayer, using their Market Value USD price. The Market Value price is the best indication for the actual selling point for most cards. The Low-Mid-High system is, and has been, way off in the past because of outliers and targeted manipulation. The Market Value directly looks at what the card has actually been selling at, and is much harder to disrupt. As for box value, this is a more complex and long calculation that looks at the expected value a box has. I'll run it down using Ravnica Allegiance as our guide. First, I always calculate cards that are worth less than $0.50 as $0.00. These cards are generally unsellable in the major market and will only overinflate what you might actually expect to get in returns. You should, of course, sell every card you can - but these are minor cards that will often sit unsold for a long time. They can give you profit in the long haul, but should not be noted when looking at more direct returns. This is where I call cards "sellable" or "unsellable" - it specifically means "worth $0.50 or more" or not. I don't break the values down per-pack because the variability between packs is far too high. You can find it by dividing the box value by the pack count, but this is generally a unneeded and misleading number unless you're somehow buying a large quantity of individual packs. Outside of trying to invest in singles, when you're looking at flipping product and profit margins, boxes are the smallest denominator. This gives us a Rare Slot average of an even $2.50. This is the only number where I don't toss out cards below $0.50. For calculating the box value, however, we toss out all cards under $0.50, while still dividing by the entire count. Doing this gives us $2.41 per rare slot instead. Multiply this by the 36 pack box size, and we see that the average RNA box has $86.76 in sellable rares and mythics. This process is repeated for uncommons and commons, which shouldn't be overlooked. They can add up more than you might think, especially if there is a chase uncommons like Fatal Push. Most sets have almost no value in their commons, but outliers happen. Persistent Petitioners is currently sitting at $0.98, is very sellable even for a common, and appears in pretty much every box. For RNA, sellable uncommons and commons within the box add up to $9.98. Add all this together, and the basic pack contents within an RNA box averages $96.74. Lastly comes Foils, which is honestly a giant probability mess. Foils don't follow the same rarity as regular cards, with rare foils appearing at 1 in 6 foils. The actual expected foil average is 1:2:3. In six foils, one will be rare or mythic, two will be uncommon, and three will be common. Foils also appear at 1-in-6 packs, which is where the nice average of "1 foil rare per box" comes into play (36 packs = 6 foils = 1 foil rare), as well as the "Almost one foil mythic per case" (8 boxes per case, with 1 in 9 rareslot foils being mythic). This can all be calcuated in a similar fashion to the above. Average the sellable foil commons, then uncommons, and rares. Multiply by their appearance rate, add them together, then divide by the rate at which all foils appear. Now, the prices between foils varies greatly, and can introduce a large amount of variability and inconsistencies between boxes. Additionally, some $0.50 foils are harder to sell. Although the scarcity of the foil drives the price a bit, it's not always a coveted card. With all of this, I always round down and add in a bit of lower estimation. This is one of the points where I diverge slightly from others who calculate EV. As I always say, time and time again, when variability is high, round everything down to protect yourself. You could open an RNA box with a foil Shockland, Hydroid, or Domri - cards that inflate the average quite a bit - but chances are you're going to get run of the mill foils that add up to about $10.75. It's a long process, but it's just numbers and math. Luckily I know how to automate such things. But before I stop, we need to step back for a moment, because people often get mislead by the numbers. We've calculated the RNA box "expected value" - the average return of an RNA box, as calculated across a very large number of boxes. Remembering that this is an "average", however, is very important. Boxes differ. One box might be a gold mine, and the next a dud. In order to actually realize the average we calculate, you'll have to buy quite a few boxes. This is where the hit-over-miss becomes important. If you're looking at buying a box, or even a few, knowing the box consistency is key. A box with a $10 profit margin but a 300% hit-over-miss means that you might average $10 profit in the long run, but individual boxes carry higher risk than normal. Once we approach 400% hit-over-miss, individual boxes seem to be almost as varied as packs. If you're looking into buying boxes, you absolutely have to know your numbers. OK, so "Hit over Miss" is the calculation of how many dud rares there are vs how many money rares there are... so it kind of indicates "variability of calculated EV" (where lower is better) - That's what has been confusing me - I figured "Hit over Miss" was reflected in the calculation as a percentage in that order (in other words, if Hit over miss is 300%, you are 3 times as likely to get a box that hits vs one that misses - but [as unnatural as it sounds] the percentage actually reflects "misses over hits"). Hit-Over-Miss is calculated exactly as: A "Hit" box's value divided by A "Miss" box's value. So it, as the name suggests, Hit divided by miss. The expected value of a booster box which contains all of the set's top 3 rares and top 3 mythics. In RNA, this would be a box that had Hydroid Krasis, Prime Speaker Vannifar, Spawn of Mayhem, Breeding Pool, Blood Crypt, and Stomping Ground. This is a top end box that got all the right cards. Such a box averages $144.41 in value. The expected value of a booster box which does NOT contain any of the set's top 3 rares and top 3 mythics. Thus, by dividing 144.41 by 67.71 we get RNA's Hit-Over-Miss of 213%. This value, alone, doesn't tell us the variation directly. Just like other set values, we tell if a Hit-Over-Miss is high or low mainly by comparing it to the Hit-Over-Miss values of other sets. A set is only "stable" or "unstable" because of how it compares to other sets. In general: 200% is extremely stable, 300% is decent, and 400% is unstable. I could just convert this to a "stability score", but I do always try to be concise and clear in what I'm saying and how I got there, even if the method seems unorthodox. Apologies to the readers who've missed the MMI the past few weeks. Illness and the ongoing GDPR issues have kept me down and busy for a bit. I'm very hopeful to get back on track now and return to a weekly release moving forward, though.